As a personal wardrobe stylist I am always on the look-out for unique and easily accessible areas to take people shopping, especially with my shopping tours, and Little Italy is just this type of place. I can easily walk the main drag, India Street, perusing in and out of my local favorites and I always save some time to stop in any of the quaint coffee houses to energize with some caffeine! The marvelous Vocabulary Boutique appeals to both women and men’s fashions with fresh spins on the latest styles. You can easily find a party-perfect dress or a new work blouse to add to your wardrobe while the men can find that cool yet collected casual look that is a must for San Diego. I love the hip accessories and the fabulous price points! Another fav of mine, Be Beauty Boutique, is a one-stop-shop handles every beauty desire. It operates as a boutique offering beauty services. Get a facial, make-up applied and nails done before selecting a ultra-stylish outfit for a night-on-the-town. I love their on-trend fashions and accessories for women that can easily carry you from desk-to-dinner! Vitreum is a great place for unique and sophisticated interior home goods and giftware. I love their vases and porcelain key necklaces. I also have a collection of the origami bird earrings. Super chic! From the hand beaded jewelry of Indonesia to the bejeweled bangles from India, RosaMariposa is the place to pick up the spot-on-trend of layered jeweled bangles. I also love the wood jewelry! The pieces are stunning and compliment any wardrobe. The best part is that it is all very affordable. Carol Gardyne Boutique offers a huge selection of custom hand painted silk scarves. This is also the studio for the owner who travels the world buying interesting white silk to bring back to San Diego to customize each piece. She carries casual clothes that are meant to be a backdrop to her beautiful custom pieces. My personal secret gem is Melero Boutique & Gallery, with its a European flare carrying coveted brands from Los Angles to Paris. The owner has such a keen eye on the latest fashions that it is a must to shop. The clothes are classic and chic adding polish to any look. The jewelry collections are so unique and smart that it will surely inspire you to complete your whole ensemble. 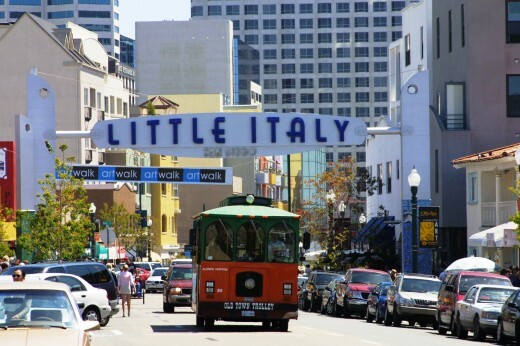 After shopping in the vibrant area of Little Italy you may want to stop and grab a bite at any of the fabulous restaurants throughout the area. 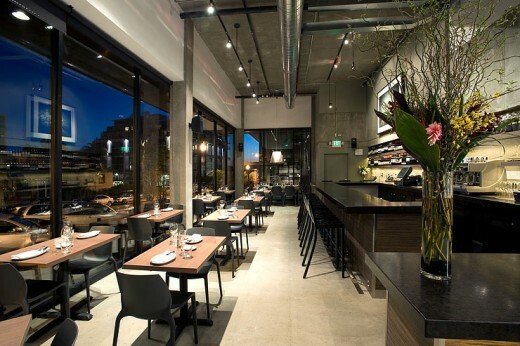 One of my favorite places to eat is Bencotto Italian Kitchen. I love the homemade recipes handed down to the darling couple who own it. The food is high quality, simple and delicious! Let me know in the comments below, where is your favorite place for fashion in Little Italy. This entry was posted in Shopping and tagged clothes, downtown, fashion, little italy, Shopping by Sandra. Bookmark the permalink.